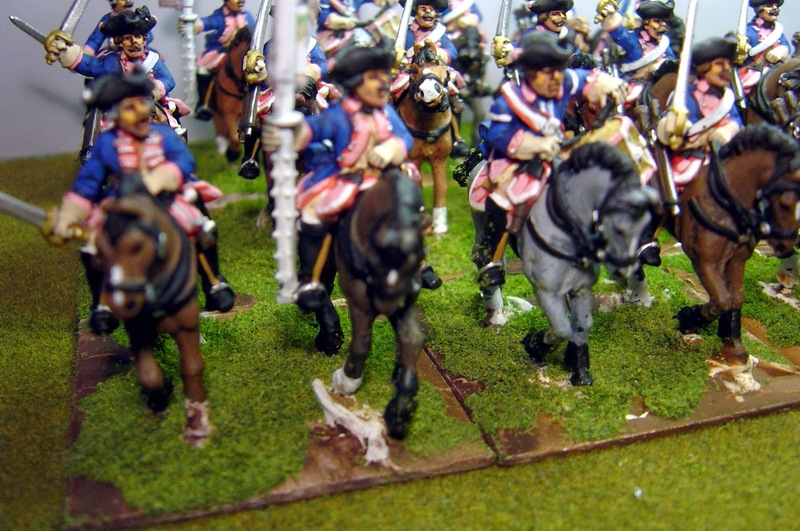 Third Prussian Dragoons of the SYW. Figures by Foundry with the usual horse problems. But pink facings on a blue coat are very pretty. 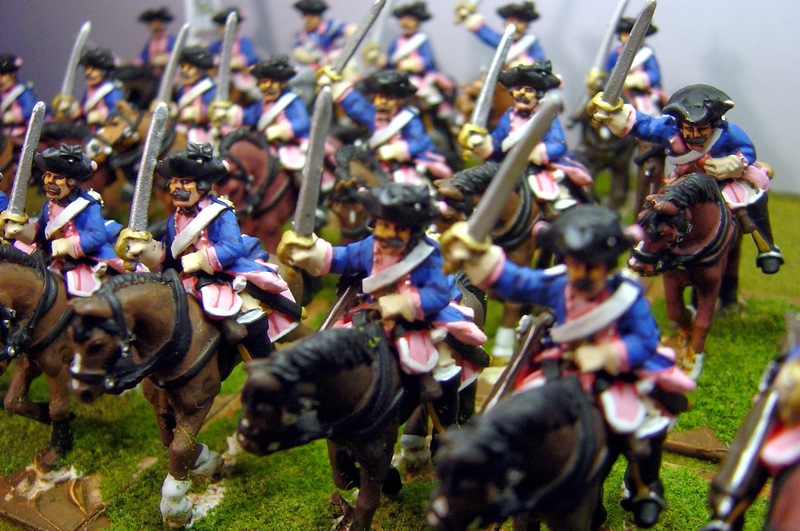 Saxon Infantry (Infantry at last, I'm fed up with cavalry!) next week and for the next few weeks. Stunning work as usual, Nigel. The rose facings jump right off the screen, they must make the unit the center of attention on the table. 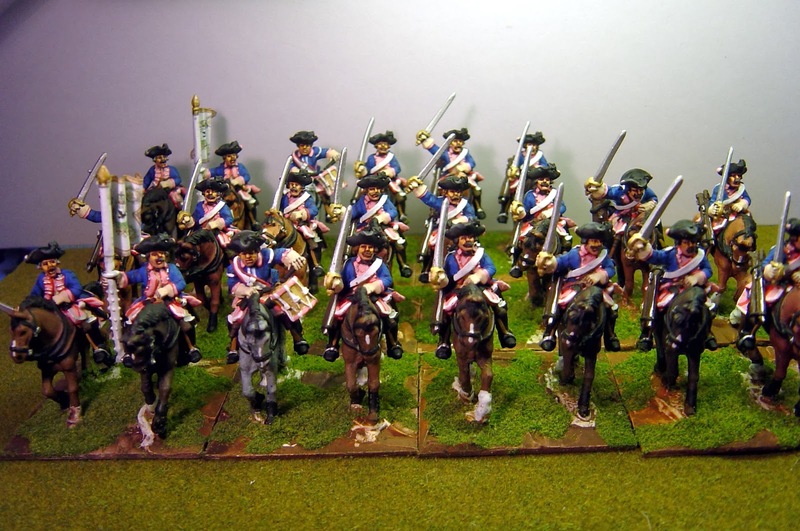 Nice choice of regiment!